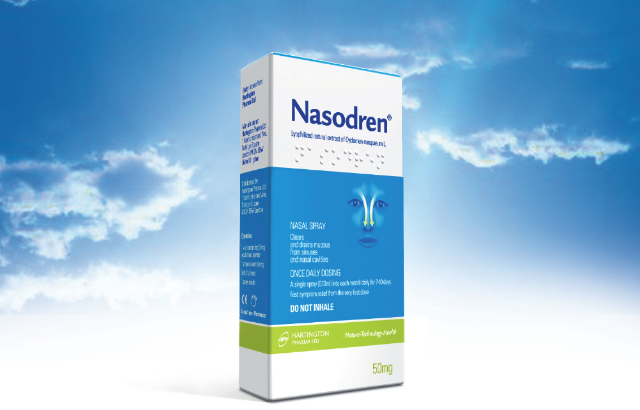 Nasodren for Sinusitis Treatment: Is Nasodren® effective in the case of halitosis? Is Nasodren® effective in the case of halitosis? Halitosis (bad breath) is mostly caused by sulphur-producing bacteria that normally live on the surface of the tongue and in the throat. About 2.4% of the adult population suffers from bad breath. When there is a problem in a sinus, bad breath is the result of some basic factors: drainage from the sinus runs towards the back of the oesophagus and onto the very back of the tongue. This drainage is a rich source of protein containing sinus cells that have sloughed off, blood cells, pus cells and additional molecules formed by the body. These components act as ideal nutrients for the oral bacteria. With a balanced, continuous food supply from sinus drainage, bad breath is boosted by the growing population of bacteria. Bad breath caused by sinus drainage is not just a warning sign of sinusitis, but also a situation in which the sinuses become unhygienic or swollen. It can occur as a result of a viral infection, similar to the case of colds, or due to allergens, as in the case of allergies. At times, sinusitis may be associated to asthma attacks. Whatever the reason is, sinusitis usually brings on bad breath as a result of sinus drainage. Whenever a person suffers from sinusitis, the coating of mucus in the sinuses is aggravated and begins to generate too much mucus. A normal person generates mucus on a regular basis to maintain the nasal passages hygienic and clear. On the other hand, when these mucous coatings are aggravated, they go on overdrive and generate excessive mucus, resulting in a general sinusitis symptom called postnasal drip, which could lead to bad breath. In addition, the disease causing sinusitis may perhaps also cause swelling of the nasal passages. The nasal passages join the nose, via your sinuses, to allow air into the lungs. When these nasal passages are swollen it results in accumulation of mucus. Thus, the mucus gets ensnared inside these nasal passages, catching the attention of bacteria, which flourish in dark, wet places. So, when halitosis is caused by rhinosinusitis, Nasodren® will help to eliminate it.